Here’s a trip round the world I can guarantee you’ll enjoy from start to finish. 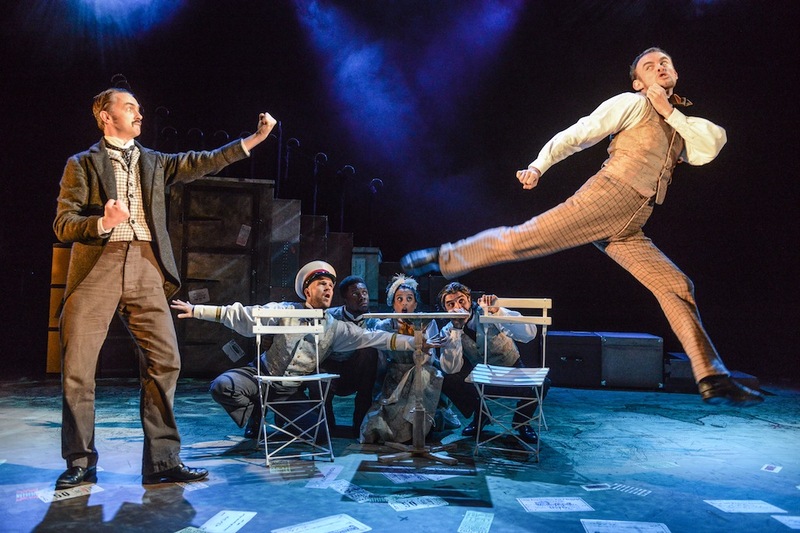 Around The World in 80 Days had adults and children of all ages laughing out loud at Cardiff’s New Theatre last night. 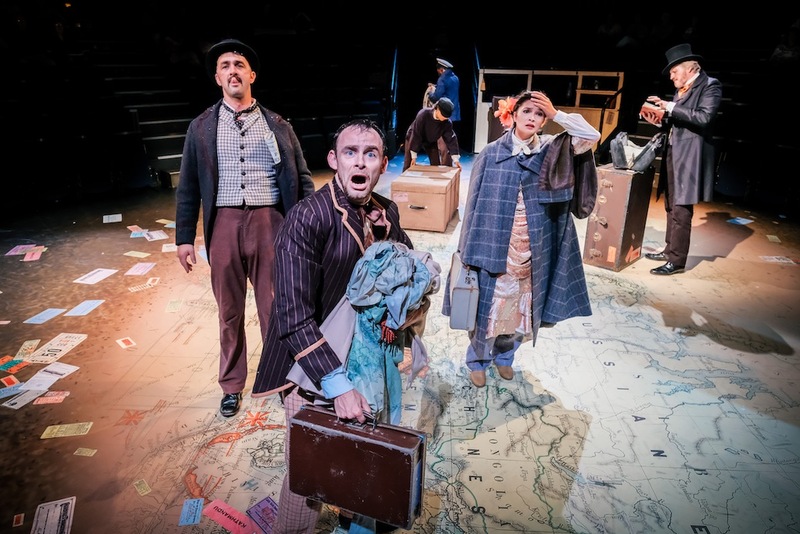 An astute use of props and ingenious actions by a cast of just eight actors playing 125 characters transported us on a journey full of wit and spark in this surprisingly funny version of the age-old story of how wealthy Phileas Fogg bets his fortune that he can circumnavigate the globe in 80 days. 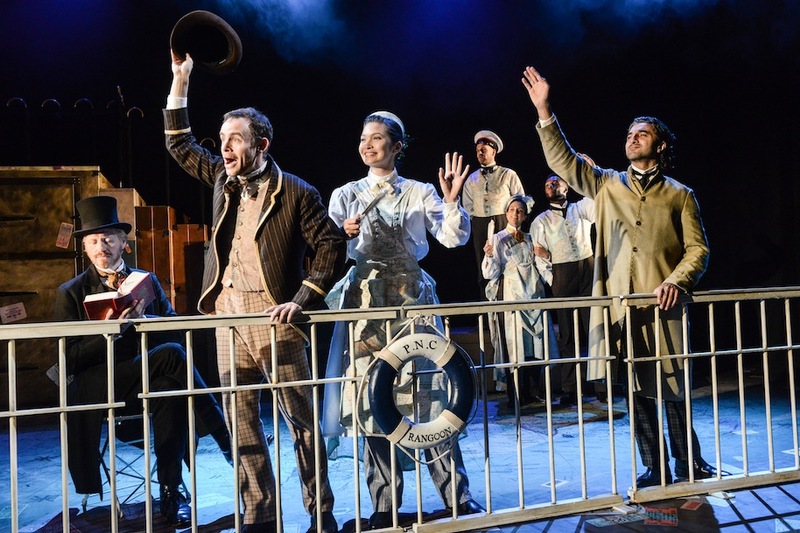 The journey begins, and cue a wickedly clever conversion of simple props into forms of transport; luggage became trains as the actors ‘bounced’ around and railings became ships as they elegantly swayed back and forth to the lilting waves. 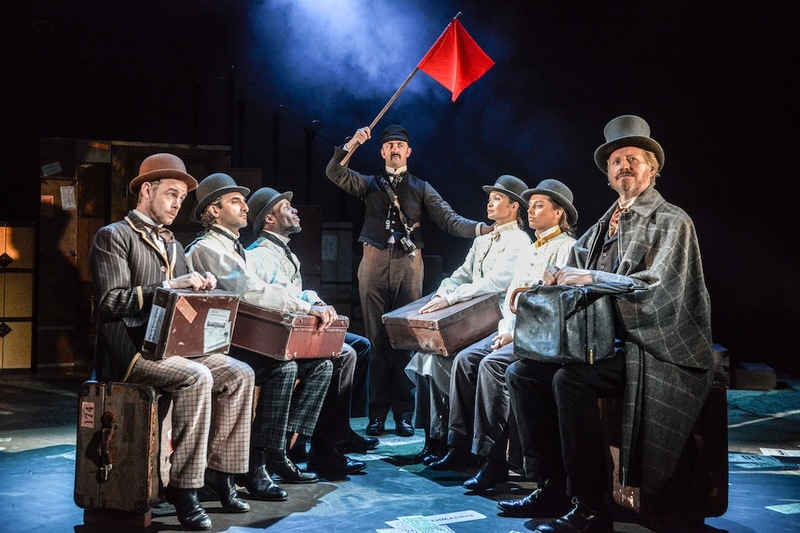 We’re taken swiftly from 1872 France to Italy to Egypt by comical changes of hats, language and accents; a deft application of origami on a coat produces another form of transport (an elephant, of course..) and all the while Fogg (impeccably played by Andrew Pollard) maintains his composure against the clock, whist likeable valet Passepartout (a marvellous Michael Hugo) dashes around stage Lee-Evans style, excellently executing ‘fight scenes’ (where the actors perform ‘long-distance’ kicks and punches without having to touch one another) and slo-mo scenes which no-doubt give the hard-working cast a breather. Other great gags that guaranteed a laugh every time were the sleight of hand ‘throwing’ of money and passports – always ‘caught’ across the stage by the recipient (you’ll get what I mean when you see the show) unless you’re Inspector Fix (expertly played by Dennis Herdman) who – despite attempting the trick a few times, can’t get it right. We also loved how he could never get Passepartout’s name right, calling him everything from Mr Pass-the-Parcel to Mr Parsley Sauce – which got everyone giggling. 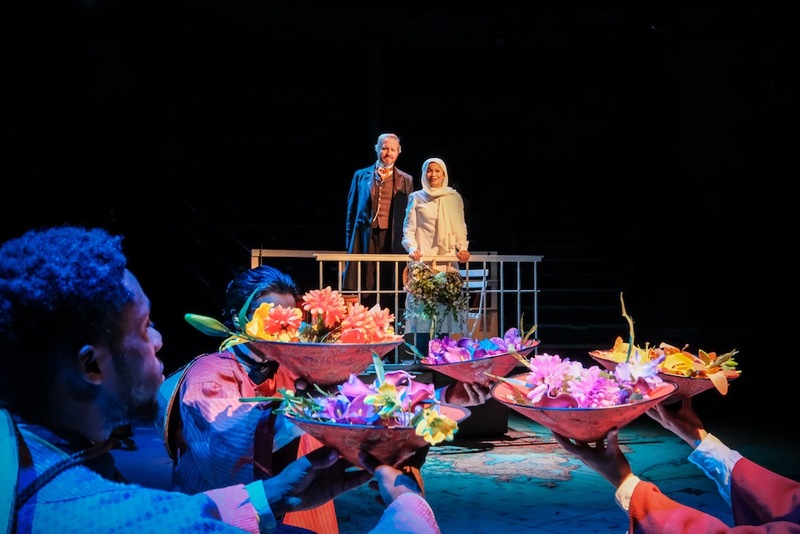 Time moved fast – and the show steamed, fizzed and whizzed through its running time of one hour and 40 minutes without us ever being tempted to glance at our watches.